Just a couple of miles from Disney World is a wonder that few people outside of this area even know exist. The Kissimmee Lake chain. 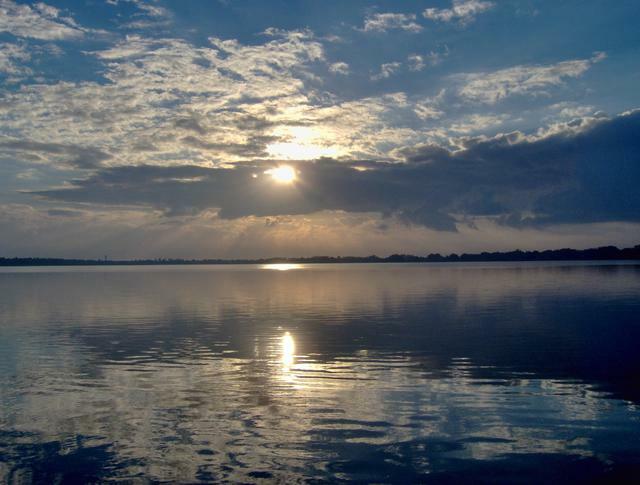 When we put at the head of Lake Kissimmee, we travel through a series of 6 or 7 lakes and canals. All connected by locks and weirs (they slow the water flow down a little). It is an amazing trip through Cracker Country wetlands and backwoods. I’ve seen gators, moccasins, and any bird that flies, including Bald Eagles. The lake chain takes you all the way down to Lake Okeechobee. The Largest lake in Florida. Quite a trip.